Belize is one of my least favorite countries. The beaches are nice, and I should say that the Cayes in the north, especially the Blue Hole, are supposed to be great, but on the whole, I feel like this country separates itself from its neighbors only because it is English speaking. Other than that, it is very expensive, has bland food, and still has the disadvantages associated with most third-world countries. It’s expensive, slightly dangerous, unsightly, and boring. Not even worth the $20 cab fare out of the airport. If there is a stop on a cruise here, I’d either find the beach, or stay on the ship. Hopkins is an expensive tourist trap, where even eating out of the grocery store is expensive. There are some cool excursions, but if you have already done them, don’t bother doing them again. While the country on the whole isn’t great, Hopkins had some bright spots. 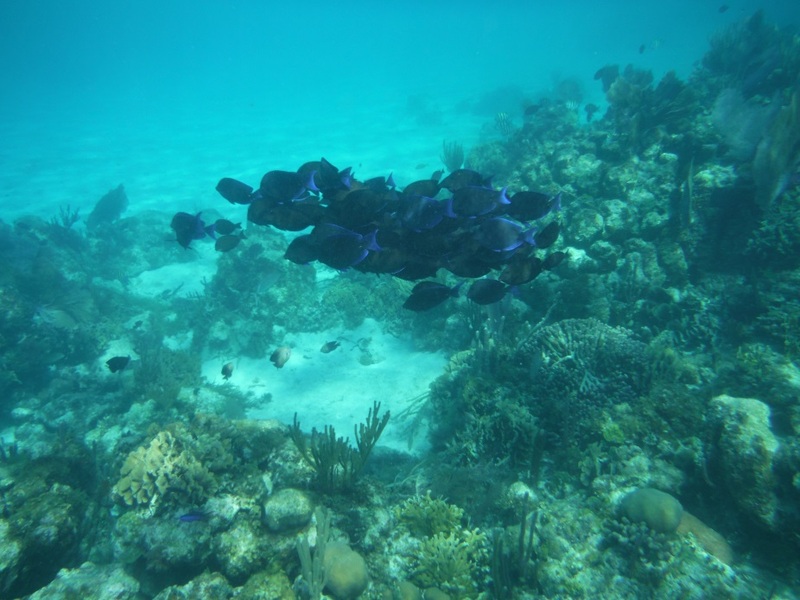 This is a shot of the snorkeling around Hopkins. Which, while fun, is probably not as good as in the north. The Toucan enjoyed nibbling on my fingers! It’s a pretty cool zoo, even if a bit undeveloped. It’s cool how close you can get to the animals. Again, this is the cool place to go. I didn’t make it here, but it’s beautiful, close to the Blue Hole, and is the most beautiful. It will be crowded with tourists, similar to the other places I mentioned above, but in a much better setting.